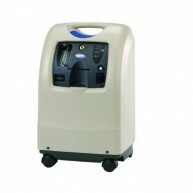 Home Oxygen without Compromise The stylish Invacare Perfecto2 oxygen concentrator is designed to exceed the requirements of the patient and provider in the ever demanding home oxygen market. The latest innovations in power and sound management result in lower running costs and increased patient comfor..
Reduce cost with Invacare high flow concentrator The Invacare Platinum 9 offers providers a value added and reliable global solution to treat patients with high flow requirements. Use as a stand alone device or couple together with HomeFill® for complete patient care. While optimising oxygen concentra.. Going SOLO2: flexible oxygen therapy for greater independence Invacare´s SOLO2 gives patients the freedom to be spontaneous and live life to the full. The flexibility to enjoy last minute plans, the freedom to travel light, with confidence and in safety. By adapting to all lifestyles, the SOLO2 offers.. The oxygen you need wherever you are Invacare´s XPO2 is a truly portable oxygen concentrator, ideal for active and travelling oxygen-dependent patients, who now have the ability to choose when, where and how they travel. Advanced Sensi-Pulse dose delivers only clinically efficient oxygen to keep even ..